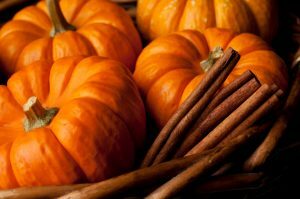 I LOVE THE FALL!..Especially the smell of the crisp air and all things PUMPKIN & SPICE. 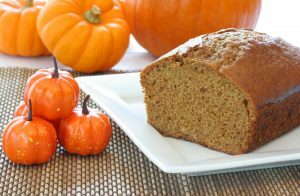 To kick off the season, I wanted to share with you one of my favorite healthy pumpkin bread recipes… When baking, the aroma will fill your home with pure HAPPINESS! 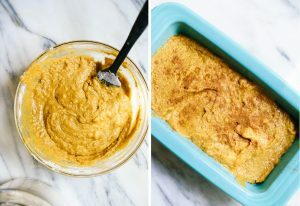 This recipe is also so moist, fluffy and delicious – no one will ever guess it’s naturally sweetened and made 100% GLUTEN-FREE… A healthy spin on a classic Fall favorite! Perfect for breakfast on-the-go, a pre-workout boost or a healthy sweet option for the kids after school. Preheat oven to 350 degrees Fahrenheit and grease a 9×5-inch loaf pan. Bake for 55 to 60 minutes, or until a toothpick inserted into the center comes out clean (typically, if no mix-ins are added, bread is done at 55 minutes; if you have added mix-ins, it needs closer to 60 minutes). PS- For alternative grab-and-go option or for kids snack- Make with different pan/tray for individual muffins!